Guernsey Silver Accredited Guide from 2007 bronze and 2009 silver. 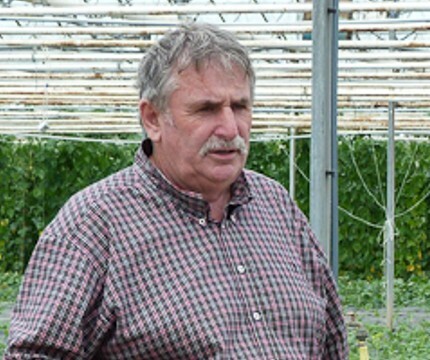 "I come from a long line of Guernsey farming family and I spent 40 years of my life in the traditional growing industry, growing tomatoes, vegetables, flowers etc. I also was a part time fisherman, owned and ran a small Hotel in St. Martin with my wife. I now have 30 allotments I rent out, a taxi service, tours and run a small hobby farm. My parents married during the occupation and some of my father’s family being Jersey born, were in our sister Island. My mother’s family of 11 apart from her identical twin were evacuated to Devizes UK on the last boat out of St Peter Port. There are so many stories, incidents from my parents, their 23 brothers and sisters during this part of our history." An Island Taxi or coach tour from 1 to 25 persons. Knowledge of the Islands history. Best places to eat or go for lunch. Advice on where to stay in Guernsey. Advice on what to do. Knowledge of farming, growing and food.